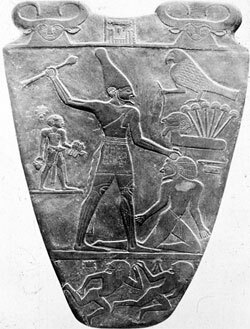 One of the earlier Egyptian kings, Narmer may have been the first ruler to unify Egypt. Back in the old times, Egypt was two kingdoms: upper and lower. To make matters more confusing, the Nile River runs from south to north, so “upper” Egypt is in the south, where the river comes from, and “lower” Egypt is in the north. Narmer put the crowns of the two kingdoms together, becoming pharaoh of upper and lower Egypt. You can see a picture of him on an ancient stone carving called the Narmer Palette. 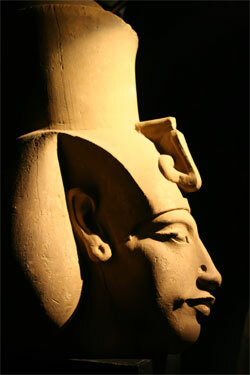 Imhotep was a chief advisor to the pharaoh Djoser, though Imhotep became even more famous than his master. Imhotep was multitalented. He is credited with designing the first step pyramid, along with being an excellent poet, doctor, and inventor. After he died, he was worshipped as a god. Imhotep is also credited with starting the House of Life, so he may have been Egypt’s greatest magician, but that is a secret the House of Life isn’t revealing! 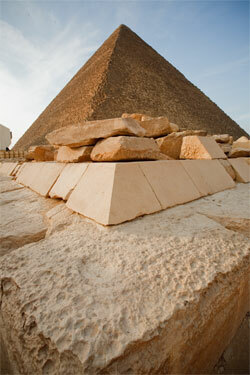 The Great Pyramid at Giza was the largest structure in the world for several thousand years. 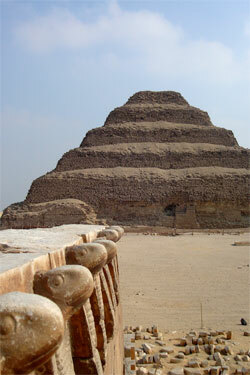 It was built for Pharaoh Khufu, who was called Cheops by the Greeks. Khufu is remembered as a cruel king, but he sure had a fabulous tomb. He also had a nine sons and fifteen daughters. That’s a lot of birthday presents! One of the most famous pharaohs in Egyptian history, Ramesses expanded Egypt’s sphere of influence by conquering huge parts of the Middle East. He built cities and temples up and down the Nile. One his most famous monuments is Abu Simbel. 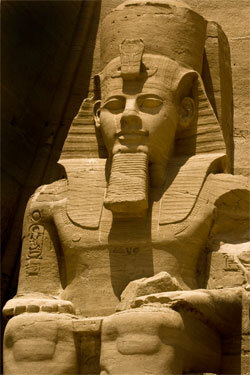 Some people think Ramesses may have been the pharaoh mentioned in the Bible who got into trouble with Moses. One of the stranger pharaohs ever to rule Egypt, Akhenaten decided to change Egyptian religion and outlaw all the temples of the gods, forcing his people to worship only one god – the sun disk Aten. He built a new capital city, Amarna, and had a famously beautiful queen, Nefertiti. Unfortunately, Akhenaten made a lot of enemies with his reforms, and when he died, his son, the famous King Tut, reversed his policies and went back to the old gods. 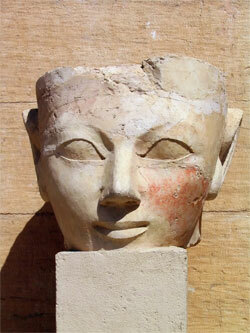 Amarna was abandoned, and the priests did their best to erase all evidence of the old pharaoh. So much for change! One of the most successful pharaohs was actually a queen regent. Hatshepsut took over Egypt when her son Thutmose III was too young to rule. 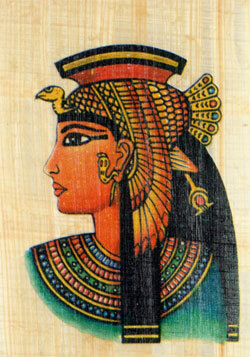 She ruled for twenty-two years and eventually had herself proclaimed as pharaoh. She even decreed that she should be called king instead of queen, and wore a fake ceremonial beard like male kings. Yes, sir, Mr. Queen, sir! How’s that for confusing? No one really knows who made this amazing statue, but it is usually credited to Khafre, the pharaoh whose pyramid stands behind the sphinx. 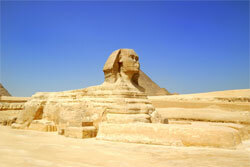 Supposedly Khafre had a dream, which prompted him to build the sphinx. There is a tunnel under the paws of sphinx, which was only discovered in the 20th century. Supposedly, the tunnel is a dead end. At least, that’s what the House of Life wants you to think. The last queen of Egypt, Cleopatra was actually a Ptolemaic Greek, a descendent of Alexander the Great’s general Ptolemy, who made Egypt a Greek puppet state centuries before. She fell in love with Mark Anthony and got on the wrong side of a Roman civil war. When she and Mark Anthony’s fleet were defeated by Augustus Caesar, Cleopatra committed suicide, reportedly by dropping a poison snake down her dress. Ouch! That ended the last Egyptian kingdom and Egypt became part of the Roman Empire.